Fish head steamboat has been a weekly staple for my family since I was a kid. I remember my mum cycling to Whampoa Market with a metal container and dapao-ing the fish head steamboat broth back. In the comfort of our home, my siblings and I would greedily slurp up the soup and fought for second servings. It was the kind of soup you would crave for on a chilly day to warm yourself up. For all of you who have never tried this before, here are seven places to go to for fish head steamboat made using charcoal. To seasoned fish head steamboat eaters, Whampoa Keng is definitely not new. Even with three branches, the owners manage to maintain the quality of their steamboat at each store. Their broth is made from over 30 ingredients and is super addictive. The large amount of ingredients also give the soup a balanced flavour. Their Fish Head Steamboat with Bardan fish slices ($35/$45/$55/$65) is usually my go-to order, but they do offer other types of fish such as Red Snapper ($40/$50/$60/$70). 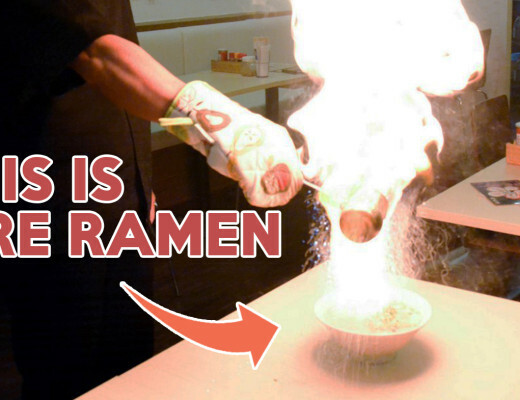 The use of charcoal is probably the reason for the broth’s robust smokiness, which I feel makes it taste better. Complete your meal with their Prawn Paste Chicken ($10/$15/$20) or Salted Egg Prawn ($22/$32/$42), which are my favourite zi char dishes here! Nan Hwa Fish Head Steamboat has been serving up traditional steamboat for 91 years now. With a loyal fan base gained over the years, Nan Hwa is best known for their Premium Dragon Grouper Fish Head Steamboat ($38/$48/$68), which boast a thicker skin and firmer bite compared to other types of grouper. The broth here is made up of roughly 12 unique ingredients and herbs. 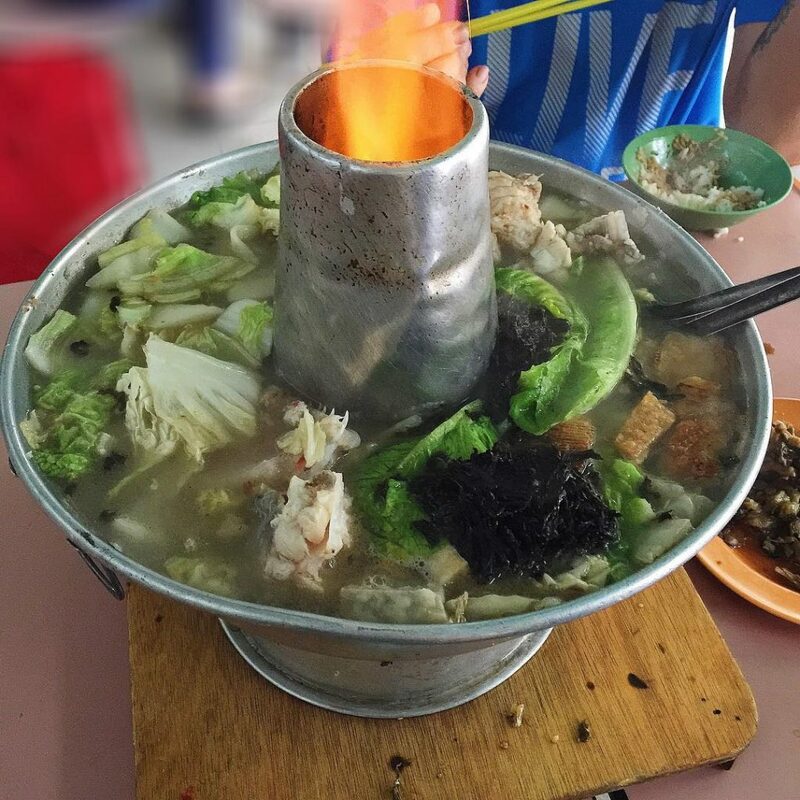 Paired together with the fresh fish slices and vegetables, this fish head steamboat is an umami flavour bomb! The only food stall to open at 5pm in Whampoa Market, Xin Heng Feng Guo Tian Tan is a crowd’s favourite. Many come down to this stall before it even opens to be the first in line; once business picks up there’s a hour-long wait! The broth is light on the palate, but still savoury thanks to the ti po – dried flatfish – which makes the broth extremely fragrant. Great for family gatherings, Xin Heng Feng Guo Tian Tan offers Red Snapper Fish Slice Steamboat ($22/$30/$40) and other types of fish as well; prices go up to $50 for certain types. The stall also has a few sides on their menu including their braised duck that is highly raved about! 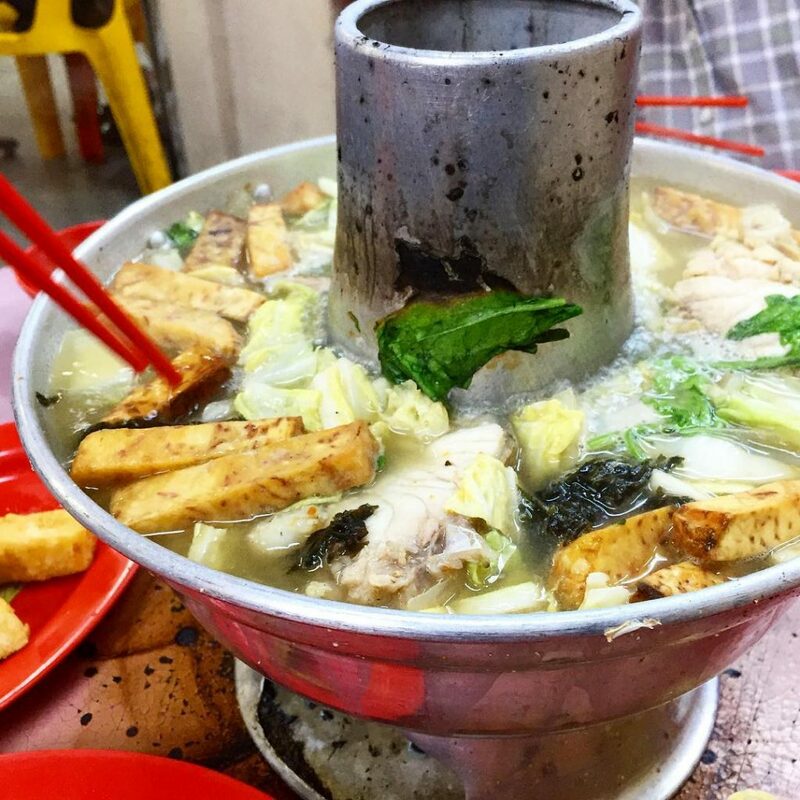 Offering the cheapest fish head steamboat on this list is Hai Chang Fish Head Steamboat – their Red Snapper Fish Head Steamboat starts from $18! 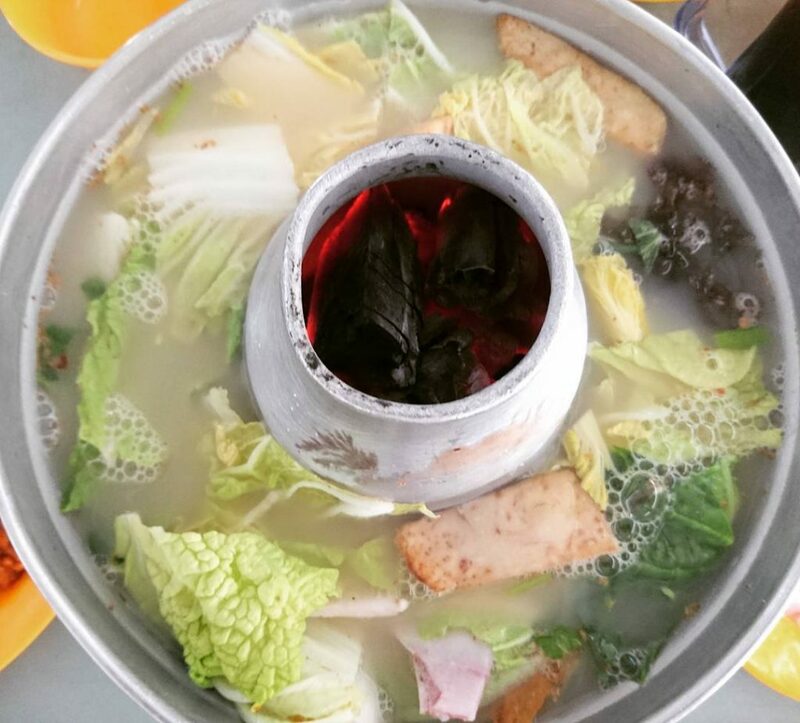 Because of the affordable pricing, the place is usually packed with customers waiting to dig in to this traditional steamboat. Besides steamboat, Hai Chang Fish Head Steamboat also offers some zi char dishes. Gushed about by customers are dishes such as sambal kang kong ($6) that packs a punch and their sweet and sour pork ($8). Despite opening many outlets around Singapore, the original Tian Wai Tian Fish Head Steamboat still remains their most popular outlet. Simmered over charcoal for hours, the natural flavours of the fresh ingredients shine, giving off a slightly sweet tang. Prices start from only $25 for the smallest, where you will get a generous portion of fresh pomfret slices, yam, vegetables, and ti po. Get some of their well-liked zi char dishes, such as Coffee Pork Ribs (from $8) and Har Cheong Gai (from $8), to go along as well! This may be lesser known compared to many renowned brands, but it sure does not disappoint in terms of flavour. 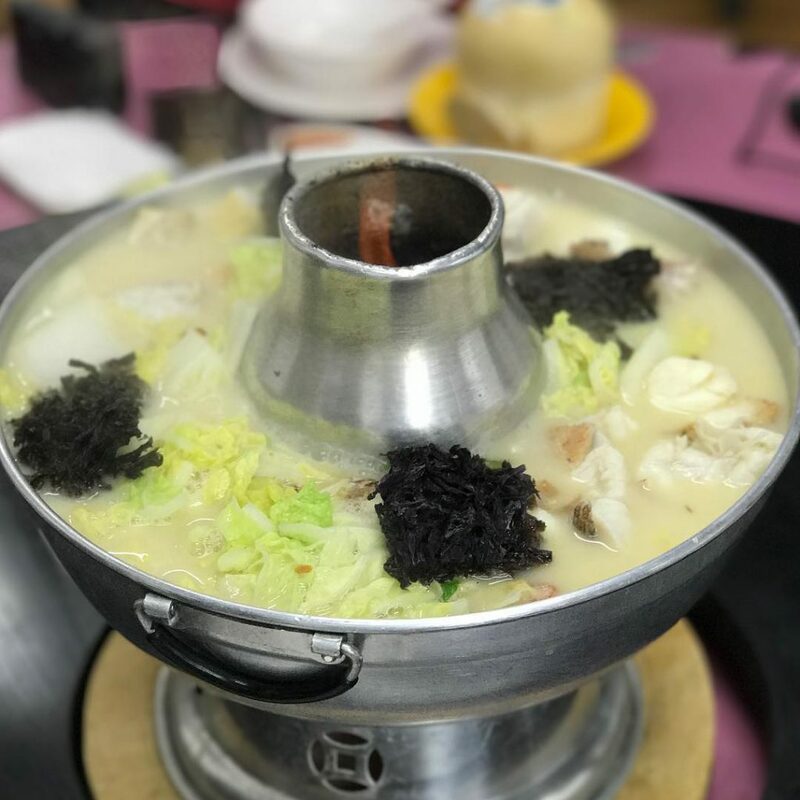 Starting at $35 per fish head steamboat, Chang Long Fish Head Steamboat fulfills one’s longing for a soothing bowl of fish soup. The aromatic broth, which is rich and comprises a variety of ingredients, is what draws customers in, as they casually walk pass this unassuming coffee shop under a HDB block. Not only is their pricing reasonable, the service is great too, as their servers take the initiative to make sure your pot is never half-filled. For this Chinese New Year season, they also offer CNY set meals if you’re looking to have a fuss-free gathering with your family! Do call to make a reservation to ensure they have the dishes you want. 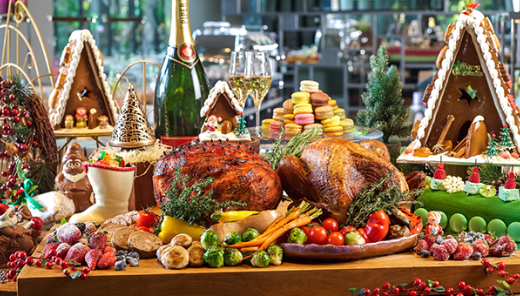 For more ideas on where to have your reunion dinner this year, check out these CNY reunion dinner spots! 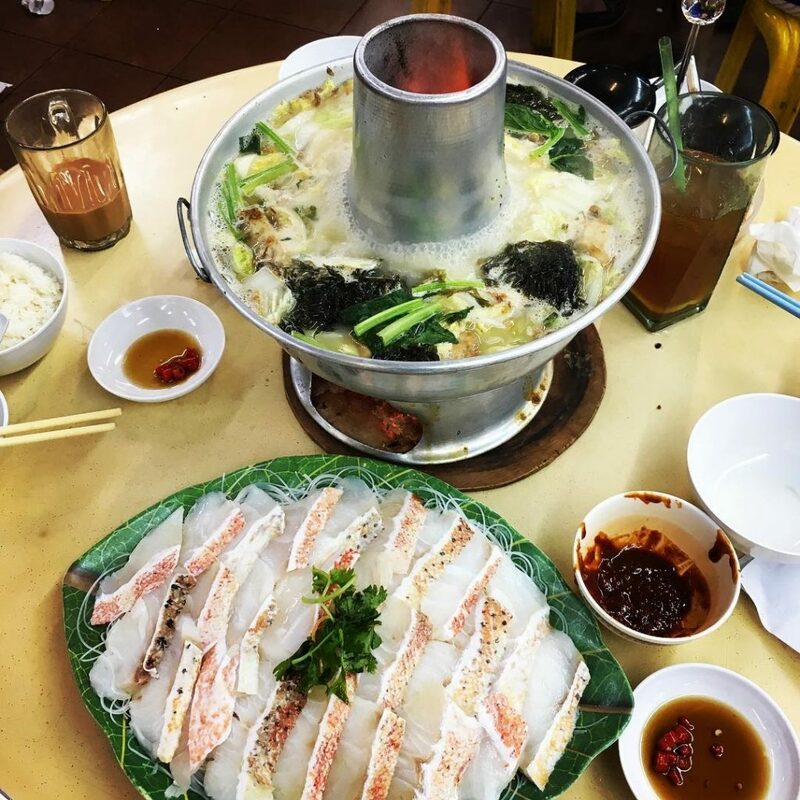 Located conveniently at Ang Mo Kio, this fish head steamboat is frequented by families who live around the area. 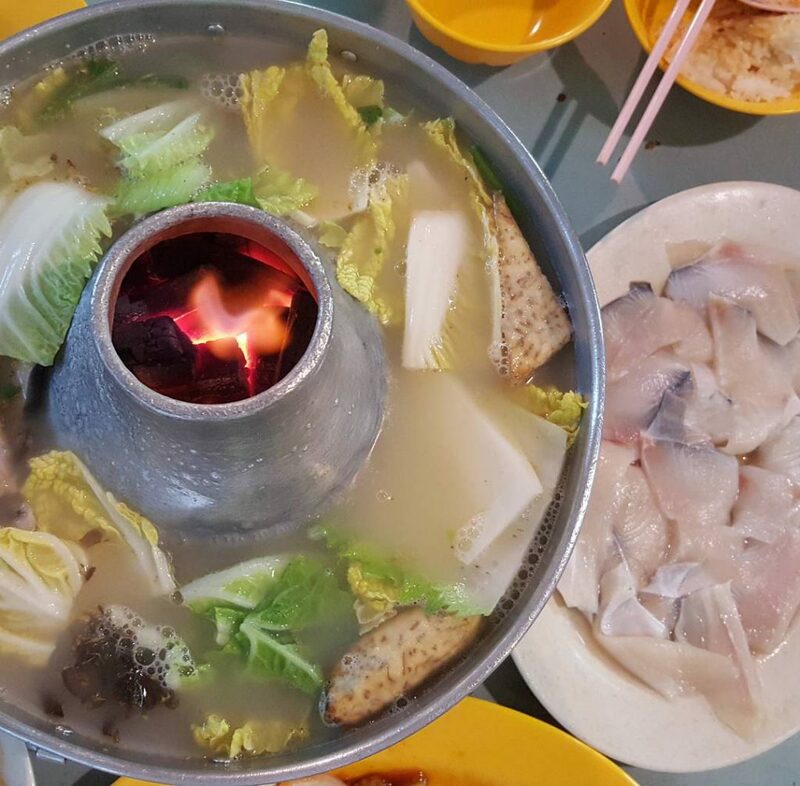 Instead of having the fish slices served in a pot like most fish head steamboat places, Meng Fish Head Steamboat presents their fish slices raw on a plate for customers to cook slowly. At $25 for a small fish head steamboat, I would say it is worth it for the amount of fresh fish and vegetables you get! Warm yourself up with some fish head steamboat! Bond over a traditional Teochew-style steamboat while enjoying the warmth of sitting together and slurping on some addictive broth. 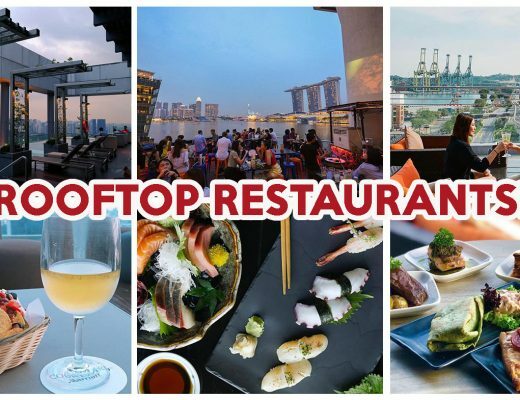 Indulge in some steamboat without all the hefty price tags and head on down to try these famous spots! 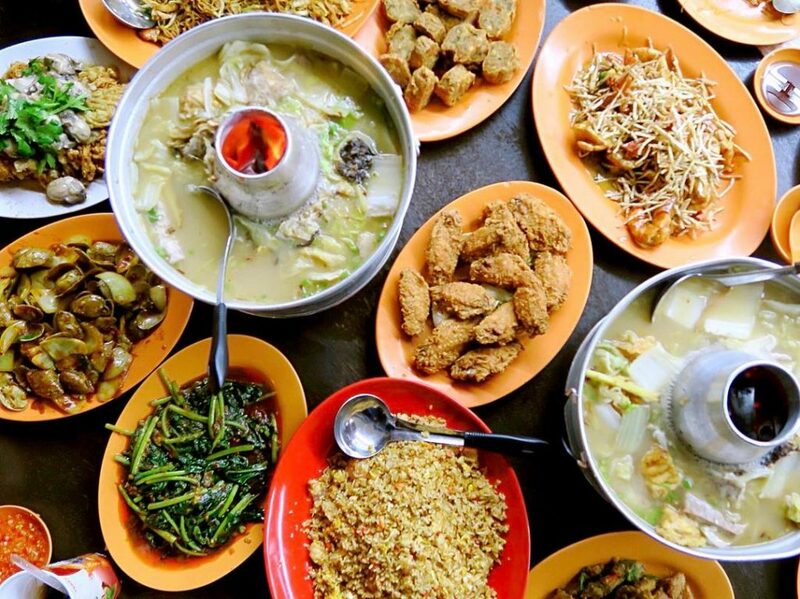 Alternatively, if you’re dining solo, here are 10 famous fish soup stalls and hawker seafood soups! Featured image adapted from Instagram user @vchia1975‘s post.